Advanced cream that combines active moisturising ingredients and breakthrough technology of stimulating aquaporins in the skin. Intended for all types of skin requires hydration, dry and dehydrated skin, as well as mature skin. MOISTURISING - ensures comprehensive triple effects on 3 levels by providing hydration inside the skin, binding water in the epidermis and preventing water loss. SMOOTHING - clearly improves skin firmness and elasticity, smoothes minor lines and wrinkles, slows down natural skin ageing processes. REBUILDING - restores proper protective barrier to the skin, maintaining optimum skin hydration. Apply a small amount of cream on cleansed face, neck and décolleté area, avoiding the eyes. Use every day morning and evening. 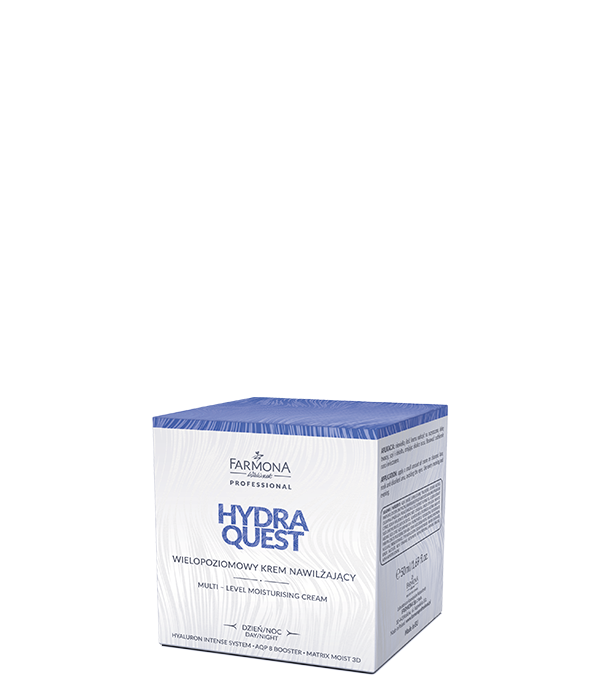 HYALURON INTENSE SYSTEM - selected mixture of hyaluronic acid with various particle sizes, ensuring long-lasting hydrating effects on all skin levels. AQP 8 BOOSTER - increases the amount of aquaporins in the skin – water channels, thereby improving the operation of the natural hydrating system. 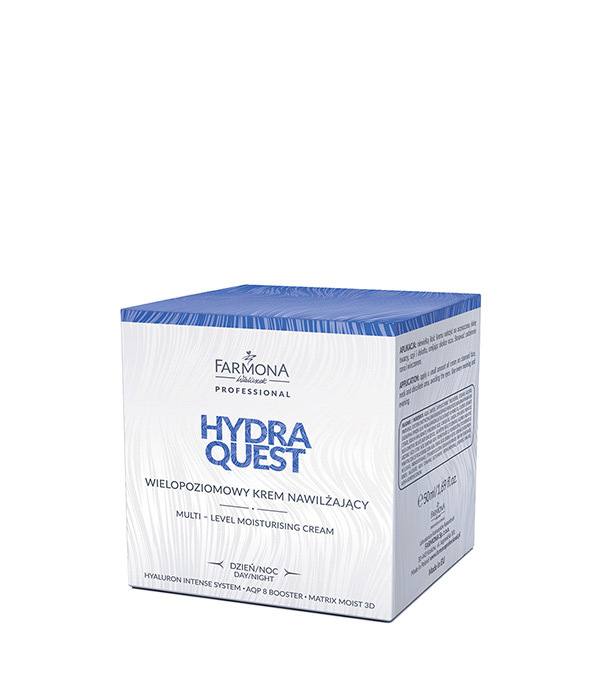 Additionally, stimulates collagen synthesis, makes the skin firmer and slows down skin ageing processes. MATRIX MOIST3: innovative system of sequential release of active ingredients, guaranteeing immediate and long-lasting hydration up to 48-hour operation and regulation of the epidermis exfoliation process.